The HORIZONTAL CENTER NEXUS (HCN) world-class lineup of horizontal machining centers combines outstanding value with high-performance features, enabling manufacturers to achieve maximum productivity when working with virtually any type of material. 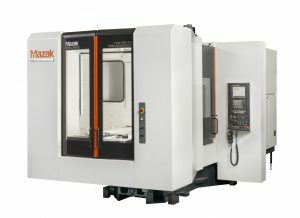 These machines provide unmatched machining stability and ease of operation by utilizing Mazak’s MATRIX NEXUS CNC controls. Furthermore, while these machines require minimal floor space, they still provide exceptionally wide machining areas for handling large workpieces. Ergonomic friendly machine designs featuring large windows, swiveling operation panel, ease of part & tool loading, and easy access into maintence areas. 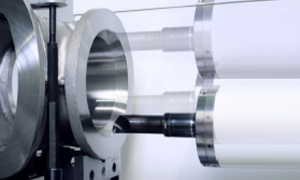 The spindle orientation is controlled so that the boring tool tip can machine turning features while it moves in an X-Y axes arc. 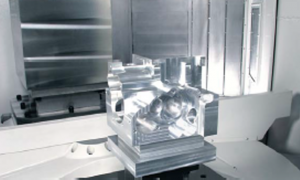 As a result, turning features can be machined without a U-axis controlled tool. 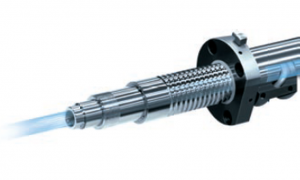 Temperature-controlled cooling oil circulates through the ball screw cores to ensure stable machining accuracy over extended periods of high speed operation.